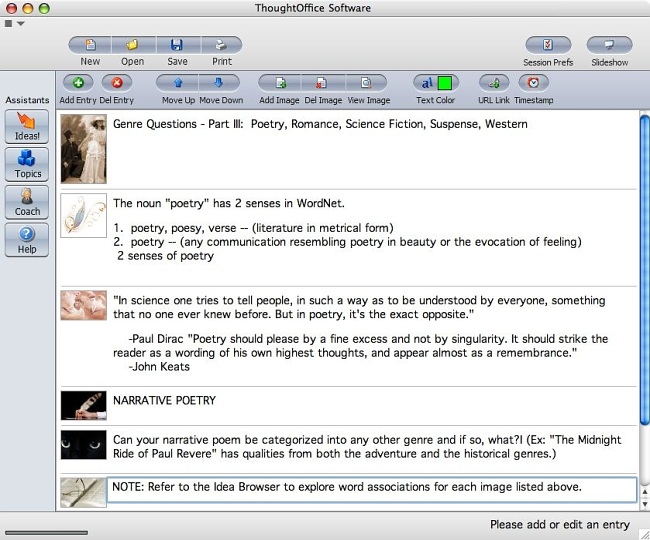 For creative writers, ThoughtOffice Muse is the most advanced solution available today. Inspired to become a modern-day Hemingway? Shakespeare? Kerouac? Start here. 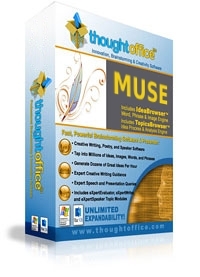 ThoughtOffice Muse has the powerful tools you need to make your creative voice sing with power and authority. 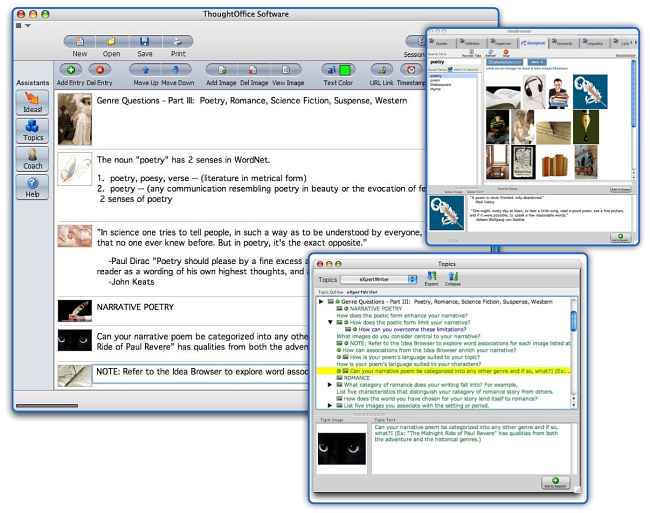 We’ve combined our creativity and brainstorming software with two great Expert Topic modules that will guide you through the creative writing process, as well as assist you in developing and delivering great public presentations. To get an idea of the content that is included in the ThoughtOffice Muse eXpertTopic Modules, download and import the ThoughtOffice Muse Demo Session and open the file in ThoughtOffice. 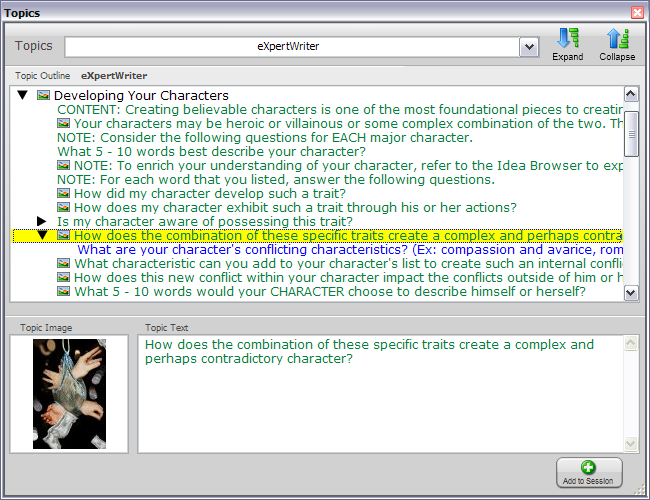 You can then experience the full power of the program’s associative capabilities.